from property owners to tenants to landlords, to keep London’s homes in great shape when it comes to plumbing, boilers and central heating. 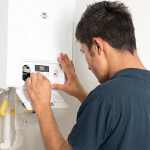 Do you need emergency repairs for your boiler? Are you looking for a Gas Safe certificate for a property you manage? 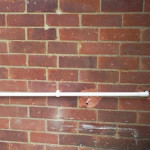 Are you seeking a London based repairs service for reliable plumbing work on tenanted properties? We are great in emergencies and our handyman service means we can help you with all sorts of ad hoc jobs. We can help with putting up shelves, assembling flat pack furniture, retiling the bath, installing carbon monoxide detectors, fire alarms and smoke sensors. 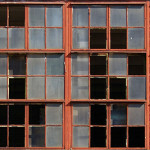 We will arrive when we say we will, we’re friendly and professional, and we’ll start work on your job straight away. You don’t have to find a parking space or permit, or watch out for traffic wardens as we simply fold our bikes away, pack them into a protective bag and bring them inside. We travel with a Vello toolkit that fits on our bikes and provides tools that enable us to carry out 80% of jobs on the spot. If we need to come back to replace any broken parts, we will write out a formal quote and leave you with a full written assessment. When you’re running a business, you need to be able to rely on the partners that you work with to maintain the reputation of your organisation and to keep standards high. We use the latest technology so you will get reports explaining what we have done, any additional work that is required, costs involved and detailed estimates – we charge trade price plus 10% which means you may pay less than RRP for replacement parts! There are five great reasons why Vello is a perfect partner for anyone involved in property, whether that’s renting, managing or owning – we’re fast, reliable, efficient, friendly, offer great value for money and have plenty of industry knowhow. That’s our five star service that you will receive for every job, whether you are an owner, landlord, tenant, estate agent or property management company. Vello’s service is available for any London property located within Zone 1 and most of Zone 2. 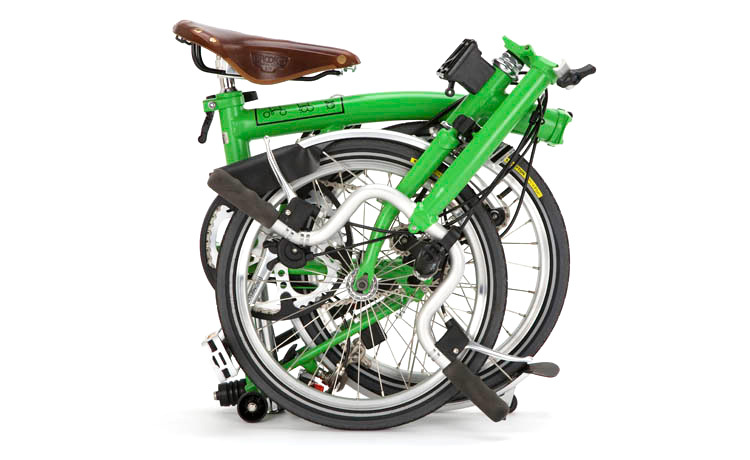 Our engineers travel on foldable Brompton bikes, which means that they zip through traffic jams and park for free – we travel on the tube to speed up our travel time as we whizz from job to job. This is why we’re able to get to you when we say we will – essential when you want a reliable service that never lets you down. As well as being fast, we’re also fantastic value with rates that are very competitive. Why is Vello for me? We understand that you are all busy people who need to work with service-focused industry professionals who will get things fixed and repaired on time, every time - and for the right price. We offer a professional boiler, plumbing and central heating repairs service, as well as a very useful handyman service for dealing with everything from fitting smoke alarms, to assembling flat pack furniture, to retiling the bathroom to anything you can think of that needs doing. We turn up within the hour to deal with emergencies. Do I have to sign an ongoing contract? 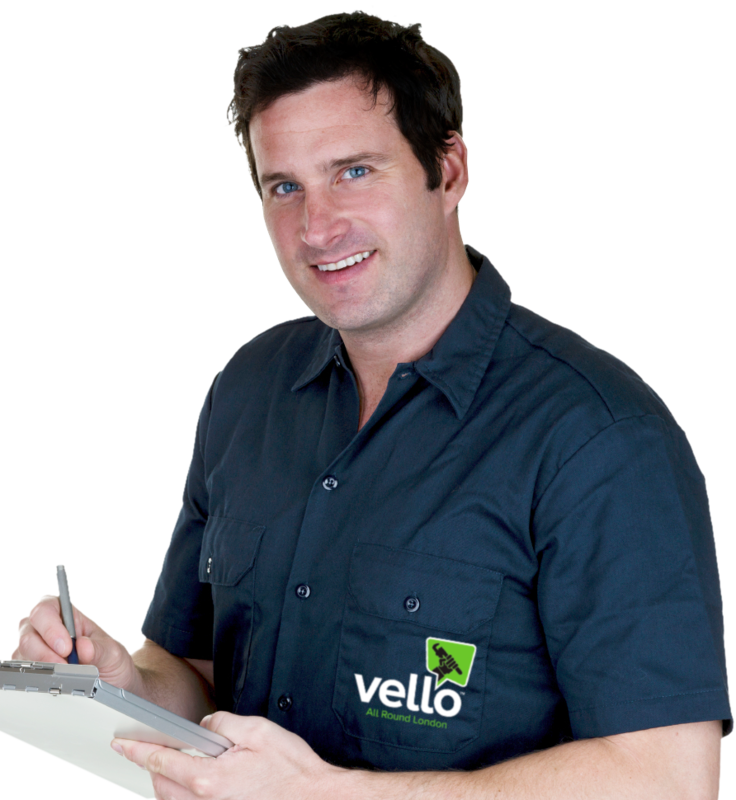 No, you can book Vello engineers as and when you need us, depending on the issue and where the property is based. You’ll get the same high standards from everyone in a Vello uniform, and enjoy the same fantastic service every time. Is there any benefit in choosing Vello rather than a competitor? Apart from the fact that we’re efficient, expert and already one of the cheapest around? Our rates start at £60 + VAT for a normal visit and £90 + VAT for emergencies. If you book a block of jobs with us, you’ll get a 10% discount, and we offer trade accounts for repeat customers. 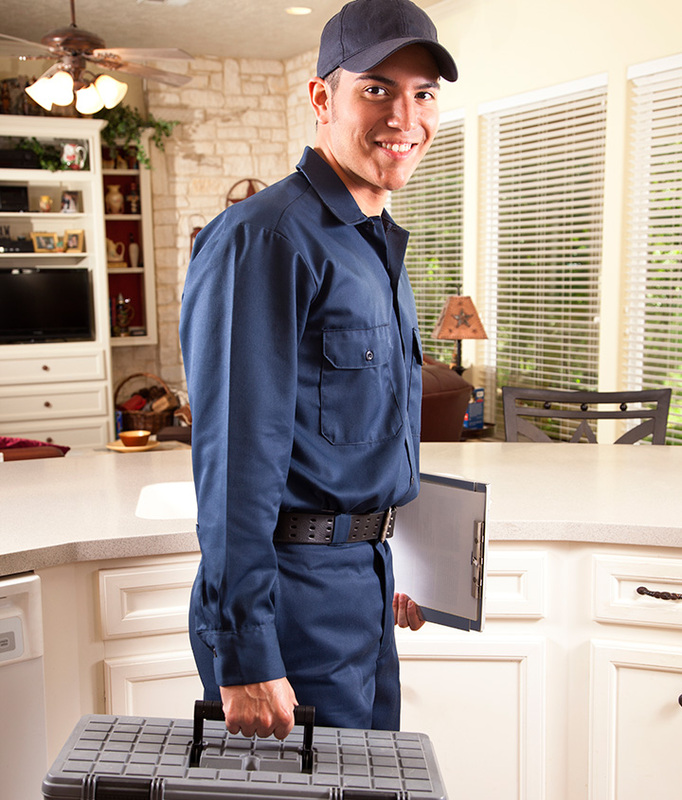 We manage numerous properties and we need a service with the resources to handle numerous jobs. That’s not a problem. Tell us what you need and we will make sure we deliver you the service you want. How do I know you’re reliable? Try us and see! We’re sure that after the first time you work with Vello you won’t want to look anywhere else. All our engineers are fully qualified, Gas Safe registered (please note that the Gas Safe Register replaced CORGI registration in April 2009) and members of CIPHE.